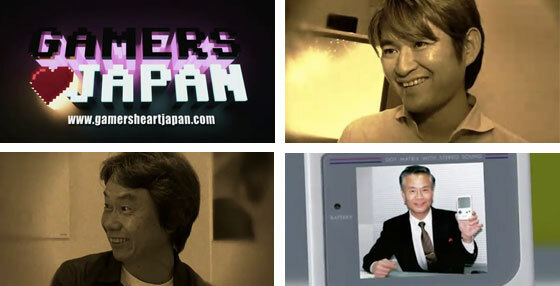 Many people in the game industry worldwide have come together in an effort to help Japan, a country whose video games have inspired many designers and developers to be what they are today. This resulted in GamersHeartJapan, a project that urges everyone to donate to several organizations that are involved with Japan's recovery. 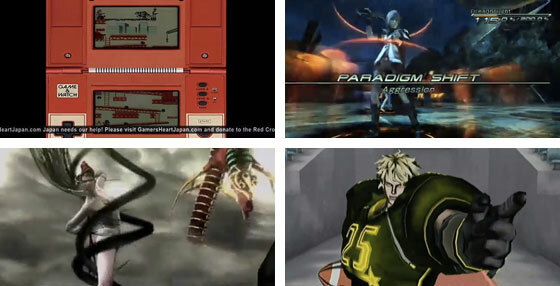 Pictured above are just some of the most influential Japanese video game icons that some of the interviewees have named. 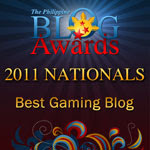 Humble yet creative, they've pushed the video game industry beyond boundaries and convention. Can you guess who they are? 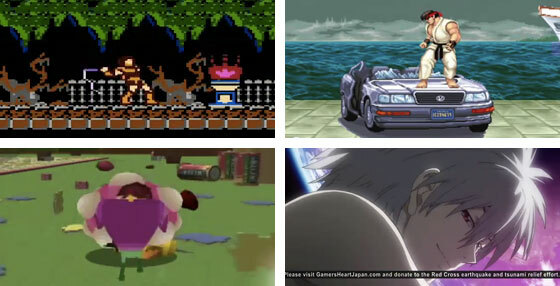 The evolution of Japanese video games. They also credited Japan for their animation, among so many other creative things. In the video, game people talked about what they loved most about Japan and many have mentioned food, aesthetics and most importantly, culture, which every Westerner seems to describe as an interesting mix of discipline, innovation and craziness. "I love Japan because Japan is a total feast for the senses. Everywhere you go, everything you experience is just amazingly vivid..."
Do visit the GamersHeartJapan website to find out how you can help. Here's the complete video. It's about an hour long. Thanks to GM Tristan for the heads up!